Apple iPhone X 256GB price in Pakistan is PKR 159,800. After a long wait, the company has made changes market was waiting for. 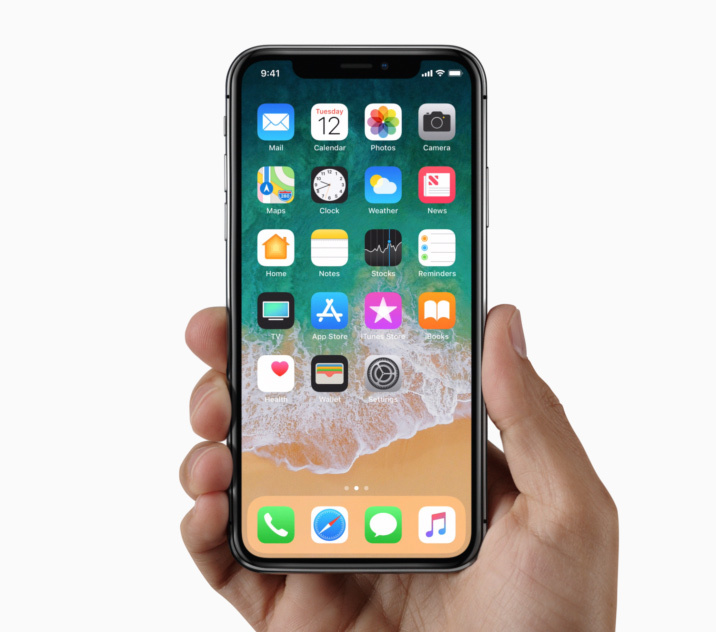 The latest iPhone X has been introduced with numerous changes, especially in design, that try to give users a brand new experience. This iPhone does not use that old classical tricks to work all day such as unlocking with Touch ID, home button for accessing apps and more. Instead, there are some interesting new iPhone X features for modifying the style of phone usage, especially the all screen design. Taking a look at iPhone X specs, we can find the huge power that enables users to work more and run fast. It comes with a Samsung-made 5.8-inches Super AMOLED display (Apple is calling it ‘Super Retina Display’) with 1125 x 2436 pixels resolution. In this year, Apple has introduced A11 Bionic chipset based on six cores for latest iPhones. This Hexa-Core CPU is packed with a neural engine and is up to seventy percent faster than the previously used chipset. More, it comes with a 3GB RAM. New iPhone X has dual 12MP cameras, one wide-angle lens with f/1.8 aperture and one telephoto lens with f/2.4 aperture. This camera is equipped with many interesting features that enhance your photography experience impressively such as dual OIS, portrait mode, 2x optical zoom and more. On the front side, the phone features a 7MP camera combined with f/2.2 aperture and it can record full HD videos. Diving inside a little more, we can see a 2716mAh battery with fast and wireless charging capabilities. And instead of a fingerprint scanner, this phone has a Face ID for getting access to home screen quickly. This is best iPhone Apple has ever made in ten years stuffed with so many demanded and trendy features. This year, Apple’s flagship phone is experiencing very powerful competitors around the world. And we recommend you to take care of all of them. Here, we are sharing two top names you should compare with iPhone Ten. To compare these two phones with iPhone X side by side to know which one is powerful enough to cover up your demands and you should buy. More, you can check other trendy phones of the world available in our database as well.